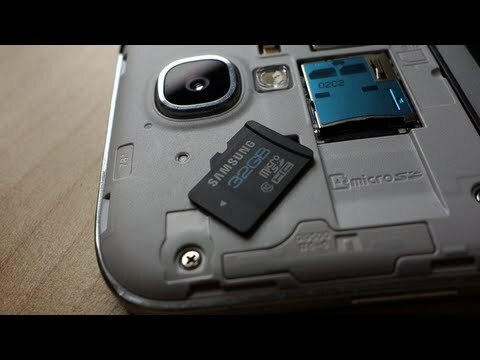 Actually the transfer of application to the Micro SD support is coming Samsung Galaxy S4 as an software update, This post gives you the clear information about how to move Apps to SD Card on Samsung Galaxy S4 will be explained clearly. Once your Smartphone is updates with this software you need to follow the steps given below to move Apps to SD card safety. Access your setting by pressing the menu button at the bottom left of your device or drop down the notifications bar and select there. Once your are done with this tap on the more to find the storage option and observe the space available, If space is more then no need to transfer the files if not you can transfer the Apps to Transfer. Tap on the back screen to access the Application manager option. Sort your application by size by tapping the menu button by selecting sort, This will order your apps from the largest to smallest file. You probably will want to move some of the largest apps on your device to your micro SD card. Now select an application which you wants to transfer to Micro card SD and observe you will send the app to SD card or not. If the Operating system does not allow you to transfer application to Micro Card SD button, will be grayed out, If the application is transferable will be bright. Tap to move to SD card and wait until the process complete. you can move as many application with respective space in the memory card. That’s is you are done with transferring the applications.